Hey guys!! 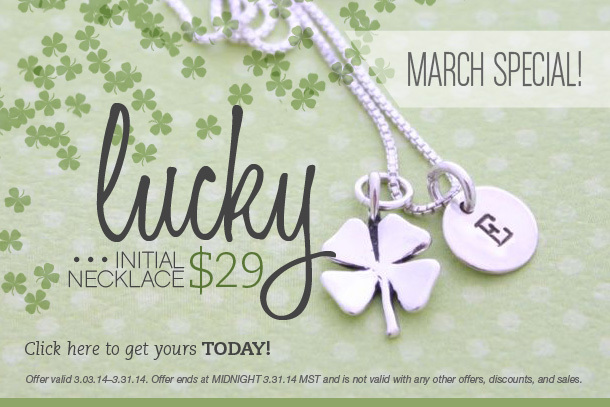 I wanted to share a great deal with y'all today -- this super cute Lucky Initial Necklace from ideclare! charms is only $29 for the month of March. I've gone on and on before about how much I love my ideclare! necklaces. I am thrilled to be hosting another giveaway, this time of this Lucky Initial Necklace, so one of you guys can see how awesome they are, too. I wish we could give one to everybody, but if you don't win, be sure to take advantage of this fantastic deal!